Ingenious cable assembly using Marine Grade (316) stainless steel components for use with 5/32" stainless steel cable rope. The perfect solution for a beautiful and refined railing design that is available for flat and tube mount. The ball and socket design allows for articulation of up to 42 degrees. Allowing for shallow angles making this cable system ideal for stairs and inclines. You can run cables through any intermediate posts to minimize the number of cables you'll need! 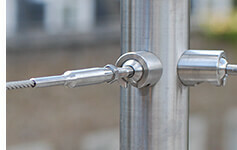 Stainless steel cable system to allow the crossing and tensioning of cable to create trellis sections. Kits are supplied with all the component parts: hubs, cable, screws, plastic caps and allen key. 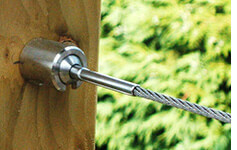 Installation is simple with the use of a drill and a few household tools. 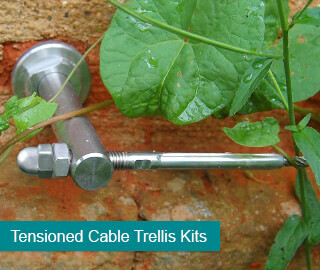 Designed by our team after extensive research, this tensioned cable kit offers a strong and durable system that is straightforward to install onto masonry and hardwood timber. This tensioned cable stand-off system is manufactured in the UK from 316 grade stainless steel and is suitable for large scale installations. 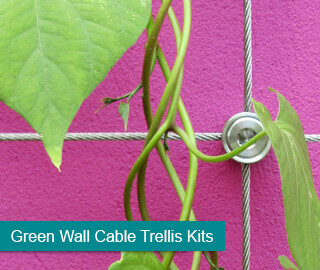 and green wall cable trellis systems are now available for the first time in the USA. Experience in our profession, commitment to industry and dedication to our customers is what we believe make us the largest stainless steel rigging company in the USA. 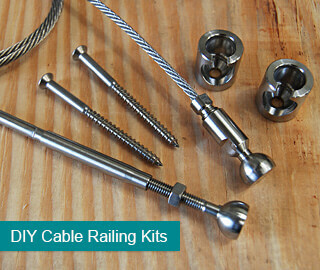 The UK's market leader for stainless steel cables, fittings, railings and hardware. 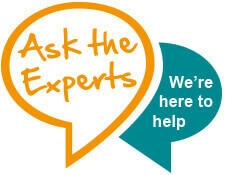 Providing the highest quality products with a customer service that is second to none. Our green wall cable trellis systems have been used by garden designers such as Adam Frost, Sharon Hockenhull, Jill Foxley, Claire Whitehouse and Bunny Guinness in their award winning projects at the Royal Horticultural Society shows at Hampton Court, Chelsea Flower Show and Tatton Park. S3i Group were proud to supply the cable trellis systems and plant training cables for the M&G Garden at the 2011 RHS Chelsea Flower Show.